All of the bed and breakfast rooms are contemporarily designed doubles or twins, each including a modern en suite bathroom with its own bath and shower. All rooms have king sized beds, free internet connection, flat screen digital TV's, iron/ironing boards, air conditioning/heating, hairdryers and tea & coffee making facilities.Many of the rooms have stunning ocean views across the English Channel to the Isle of Wight - please request a sea view room upon booking. There is also a stunning penthouse suite with dining area, sea view and air conditioning, making it the ultimate in luxury and an experience you will never forget! The ethos of The Cliff Restaurant is to use local reputable suppliers who guarantee that the produce they supply, both meets expectations in quality and has come from local producers, ideally within the Dorset area. All the dishes in The Cliff Panoramic Restaurant are produced from scratch in house, even the bread rolls that accompany your meal have been made by the chefs. Recipes for each dish are tried and tested and will only be put onto the menu once the chefs are happy that the dish would be good enough to be served. The coastline is home to various heritage sites, wildlife and museums, there truly is plenty for individuals, couples, friends, families, large groups and those on businesses. From Kayaking, walking the ancient cliffs to food festivals & farmers markets, carnivals, fairs and concerts - Portland and its environs has something for everyone. 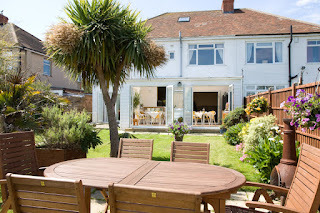 Racing Sea Horses is a bed and breakfast accommodation based in East Wittering in Chichester, West Sussex. This accommodation has three double rooms available, all of which have been individually decorated and comfortably furnished. All rooms have plenty of drawer and wardrobe space, digital TV, free wifi access, and tea and coffee facilities with complimentary refreshments. Each morning a range of delicious breakfasts are served in the bright, sunny and relaxing conservatory, which is located at the rear of the house, with views out to the beautiful well kept garden. Minutes from Racing Sea Horses are countless beaches both sandy and pebble that offer young and old alike limitless opportunities for all interests both ashore and at sea. All of the activities you could hope for are on offer nearby, from wind-surfing & scuba diving to lesiurely fishing. For those of a curious nature, in a single day one can visit a Roman Palace not far from Petworth, Chichester Cathedral, Arundel Castle, home to the Duke of Norfolk and the first Catholic Cathedral built in this country since our break with Rome, a two thousand year span, in a single day. The bed and breakfast offers three ensuite rooms, all with 32" TVs, tea & coffee making facilities and free Wi-Fi throughout. Soft duvets and pillows ensure a good nights sleep, and quality bathroom toiletries all add to a luxurious stay..
A Full English Breakfast is offered to guests at the B&B comprising of local sausage, bacon, free range eggs, tomatoes, mushrooms, baked beans and black pudding. You can also have a homemade breakfast muffin with smoked salmon and scrambled egg or traditional Staffordshire oatcakes with a choice of fillings. A choice of cereals and muesli, porridge, toast with a choice of homemade marmalade & jams, yogurts, fruit, fruit juice, tea & coffee or hot chocolate is also offered. The Daintry is situated in a quiet cul-de-sac; a 10 minute walk from the town centre. The bed and breakfast is located close to the Roaches on the edge of the Peak District National Park. 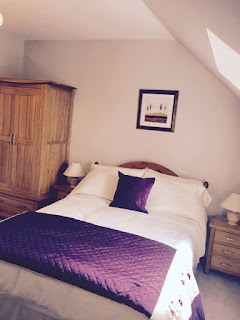 The Four Sevens Guesthouse is the perfect place for bed & breakfast in Colchester. Whether you are a business or leisure guest, you will find comfortable accommodation that is ideally located for exploring Essex. The guest house is situated in a quiet location within a few minutes stroll from the centre of town. It is just a short bus ride away from both railway stations and the University of Essex and a few minutes' walk from Colchester Study Centre and the Colchester Institute. 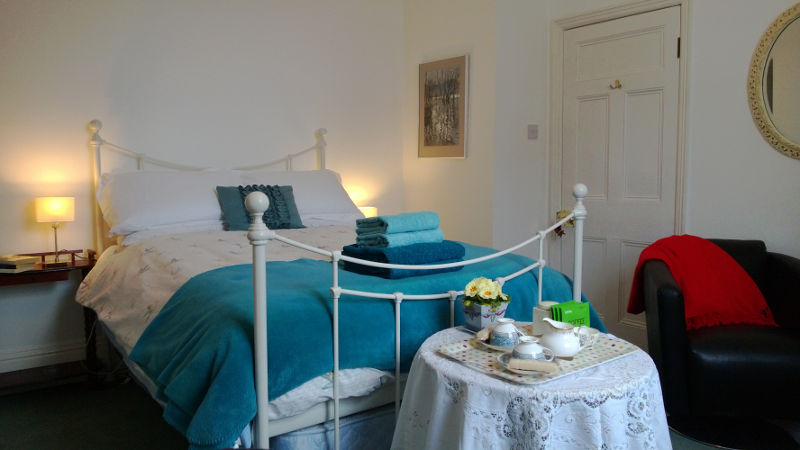 The guest house is a very large and spacious Victorian house which has only just recently undergone a full refurbishment of all its rooms and facilities. There are 2 single rooms, 3 family rooms and 2 double rooms which can be set up as a double or twin beds depending on your requirements. The large, light and airy guest rooms are furnished in a modern style with all the expected features - tea and coffee, TV with Free view/Sky, a DVD player, and intercom communication with the management (all hours). Your hosts are renowned for delivering a hearty breakfast, whether English, Continental or other (just ask!). Brook Farm Bed and Breakfast is situated in an idyllic rural setting in the gorgeous Dorset village of Winterborne Zelston, not far from the market town of Blandford Forum. With open country views, literally a stone’s throw from the Winterborne Brook and village pond, this accommodation is perfect for walkers, horse riders or those who just love exploring. Each room is clean and comfortable. All bedrooms have kettles and mugs for tea and coffee, modern flat screen televisions and hairdryers and shaver points. Guests have use of a fridge and there are facilities for ironing if required. A full English breakfast is served each morning, made with free range eggs & homemade marmalade to go with some delicious toast, just what you need to get you ready for the day ahead. Alternatives are also available if preferred. 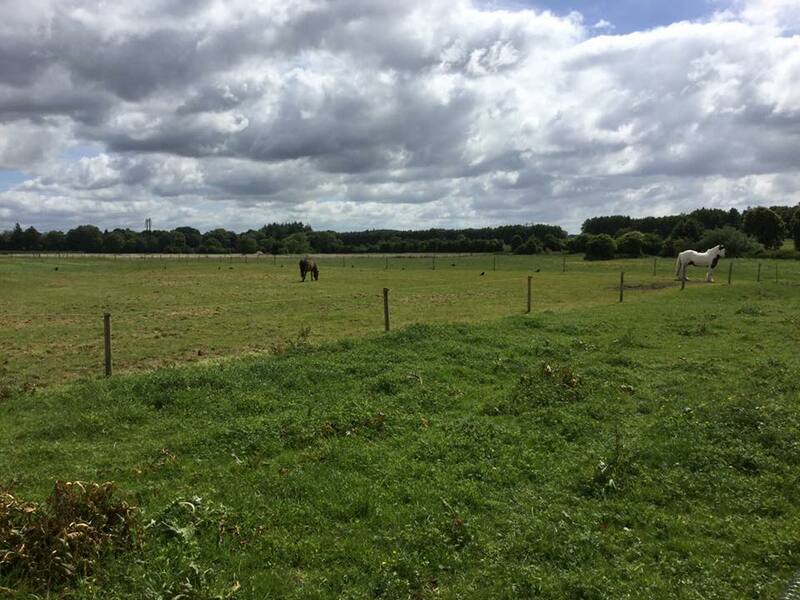 Want to bring your own horse with you? No problem! Full stabling facilities are on offer. Please enquire for details. Well behaved dogs are also accepted by prior arrangement. Brook Farm is close to The World Heritage Jurassic Coast and the historic towns of Dorchester and Wimborne are easily accessible by car. The coastal sea port of Poole is also within touching distance, providing a wonderful day out. Closer to home Winterborne Zelston itself has a local gastro pub and other pubs and inns are only a short drive, offering great food in excellent surroundings. 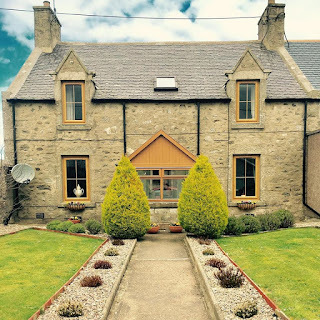 Inchgarth House is located in a stunning part of Aberdeenshire, in the beautiful coastal village of New Aberdour near Fraserburgh. The guest house is family friendly and the perfect home away from home. All guests at Inchgarth House are welcomed personally and treated to a complimentary Cream Tea on arrival, in our relaxing cosy dining room. Indulge in fresh home-made scones, with homemade jam and cream and your choice of tea or coffee. The guest rooms are comfortably furnished and have been tastefully decorated to create a relaxing ambiance. There is a double ensuite room at a rate of £30 per person per night. 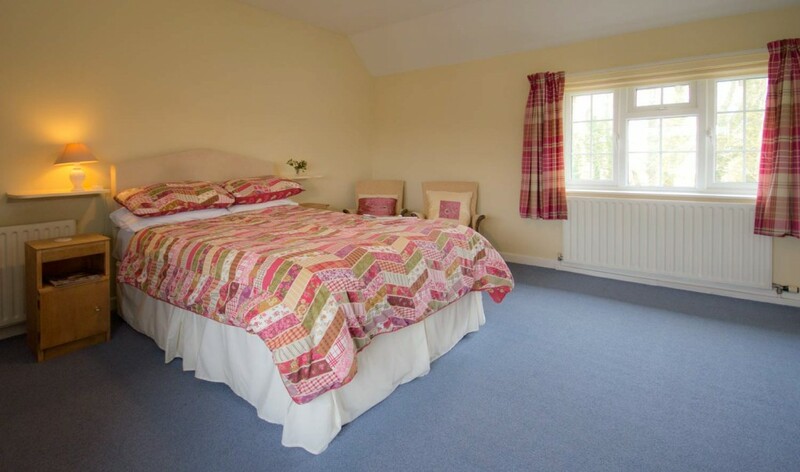 There is also a twin bedded room which can be booked in conjunction with the double bedroom if required. This twin room shares the facilities of the double room, but has separate access to the bathroom from the landing. The cost of the twin room is £20 per person per night, and all rates include a full Scottish breakfast. Breakfast is cooked to order and is made using locally sourced ingredients. If a full Scottish breakfast isn’t for you, there is also a choice of omelettes, toast with butter and preserves, poached eggs or smoked haddock. Packed lunches can be provided. 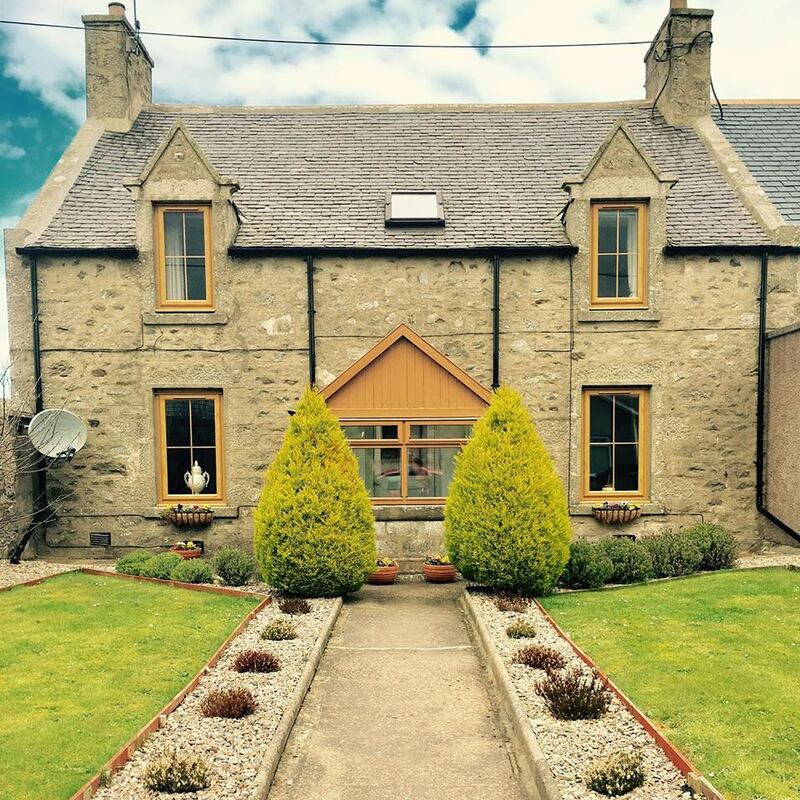 The guest house is close to the towns of Fraserburgh, Peterhead and Banff. The location of Inchgarth House makes the ideal starting point to discover the beautiful unspoiled Moray Firth coast. You can explore castles, taste the whisky where it is made, see sea birds, dolphins and seals or play a round in the home of golf. The Old Rectory B&B, Kessingland, near Southwold, Suffolk is beautiful Grade 2 listed, late Georgian, Bed and Breakfast set amidst two acres of award winning gardens for you to explore and enjoy. They are rated 5 Star Gold by Visit England, and hold a Breakfast Award for the range and quality on offer. Each room is tastefully decorated and furnished with antiques in keeping with the property. You will find a fruit bowl, chocolates and a well stocked hospitality tray for your enjoyment. The soft fluffy robes and slippers will help you unwind. The breakfast options are extensive and served in a beautiful dining room at a time to suit you. All of the food and produce is sourced locally and as close to home as possible. Kessingland is the most easterly village in Britain and once boasted to be the richest. Today it is probably best known for its long wide beach and its wildlife park. Southwold is just 10 minutes away by car and there is a regular bus service too, however you can also walk along the beach to get there; a healthy hike after a substantial breakfast! The Old Rectory B&B has something for everyone as it is also convenient for Oulton Broads, Aldeburgh, Norwich and Lowestoft. Holland House Bed & Breakfast is situated in Worcester in Worcestershire. This tastefully decorated guesthouse is within walking distance of the Cathedral and shops, making it an ideal location for a memorable break away. Holland House retains many original features and offers fully en suite rooms throughout with central heating, heated towel rail, 19” flat-screen TV, tea and coffee making facilities, clock radio and hairdryer in all B&B rooms. 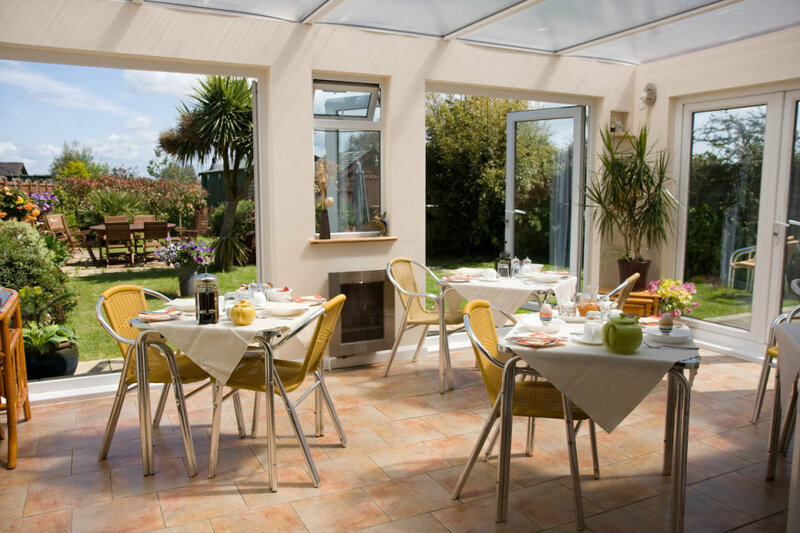 The breakfast room at the B&B is situated at the front of the house with a feature bay window looking out on a stand of trees - hence the terrace name “Woodland View”. 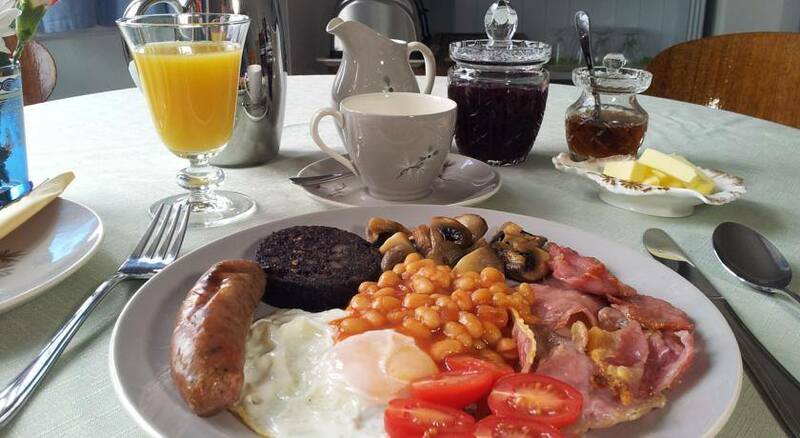 The “enjoyEngland” award winning breakfast fare ranges from the Continental style to the Full English, special dietary requirements can be catered for with prior notice.